All parameters may be set dynamically – see demo below. form – ID of the Formidable form to use. Use [id] as the ‘current record’ variable. dataset – ID of the Formidable Forms dataset to fill the fillable PDF form. layout – ID of the Field Map Layout to use for the merge. 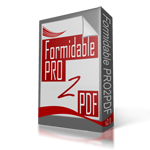 download – The merged PDF file will automatically download to users computer or mobile device. And will not open in the browser window. title – The label for link to the merged PDF. If not specified, this defaults to “Download”. class – Style the merged PDF’s link. See examples of setting parameters dynamically at the bottom of this demo. NOTE: Be sure to add the open and closing brackets “[” and “]” at the beginning and end of the shortcode.